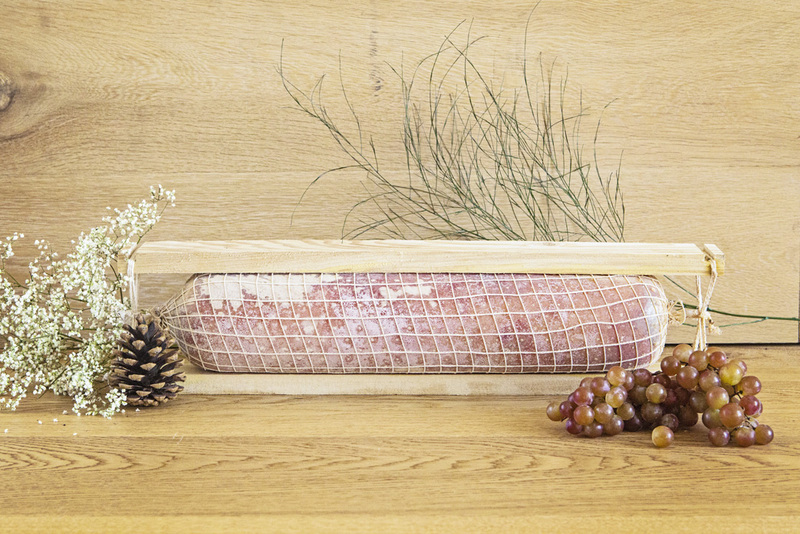 Pedroni cured meat factory is located in the core of Emilia. Here, it has mainly been producing and selling typical cured meats on the national market for over 50 years, without excluding the main international markets though. Thanks to long experience and passion for gastronomic tradition combined with the most modern technologies, we gained a quality standard that can satisfy the most exigent tastes and keep convenient prices. 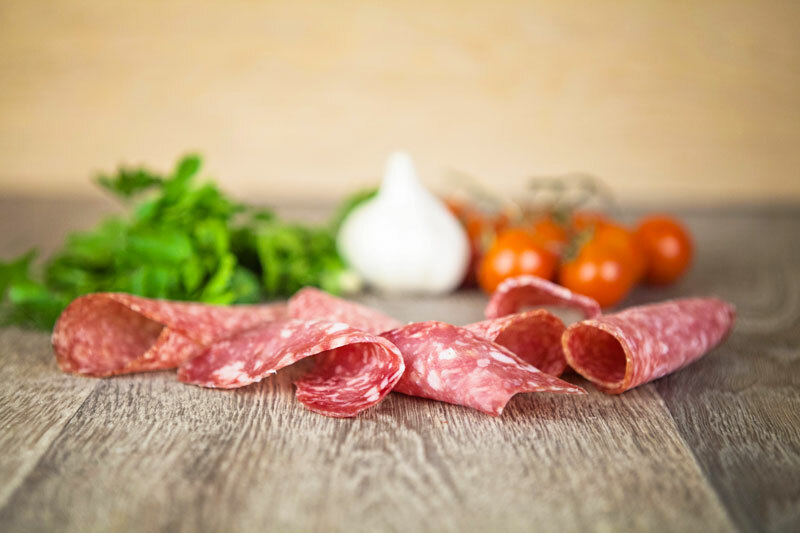 In order to ensure the constant availability of our products, which our clients are used, we are extremely careful with raw material selection, which are fundamental to high quality cured meats. We receive raw materials on a daily basis from the best ITALIAN slaughterhouses, which can precisely and efficiently track the whole chain of the meat provided and ensure the true origin of the meat. We internally perform a second control and a following processing of raw materials with the brand new and modern boning instrumentation, activated in 2011. This procedure is a further guarantee for our clients, which can rely on accurate health controls: realizing selection and deboning according to the different cut of meat gives to our products higher stability, which is a necessary condition for the high quality cured meat sale. 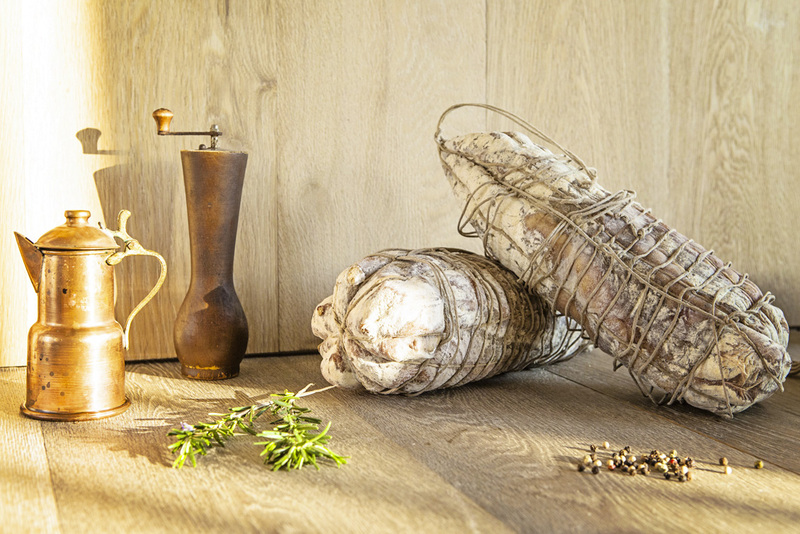 Pedroni cured meat factory still follow ancient recipes from peasant tradition by using local natural ingredients: therefore, the final product is free from any kind of allergen, gluten and dairy. 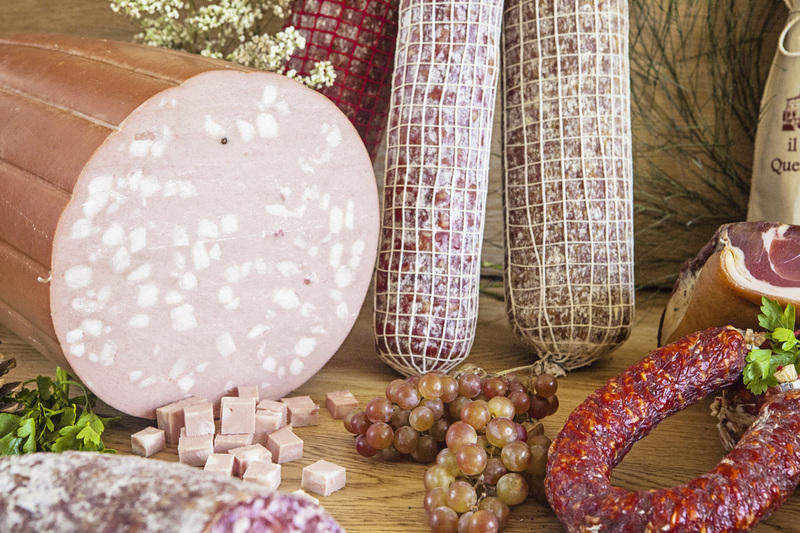 The result is a range of genuine, healthy cured meats suitable for any food requirement. Moreover, the choice of STATIC aging is another crucial factor that makes our products considered as traditional as the ones of our fathers. The product is not simply dried in ventilated environments, but it is left aging in STATIC way, as well as it happened in cellars long ago. Air handling happens according the simple physical principle that pushes the heat upward and softly dried the product, leaving the first choice meats themselves to become high quality products. Synergy between tradition, experience and technology makes PEDRONI cured meats be appreciated and recognized on the market as constant and high quality product; so that, our clients are available and happy to share this ancient tradition with us and with more and more people and they make people taste our products’ genuineness. Our products are subject to regular microbiological, chemical and physical analysis concerning environmental and food matrixes (surfaces, waters, raw materials, final products) by PEDRONI Srl as well as Official Control of the responsible Authority. The Health Board (USL) of Reggio Emilia (Veterinary Service District of Scandiano) is responsible for vigilance health and it released the community veterinary approval number IT 610 L CE. PEDRONI SRL applies the self-control company plan according to the HACCP system, in the respect of the current health regulations.